The Salvation Army of Greater Chattanooga continues to serve residents displaced by the fire at Jaycee Towers on Monday. As of dinner Tuesday evening, The Salvation Army has served 418 meals, 460 snacks and 517 drinks, and will serve again on Wednesday at the South Side Recreation Center. 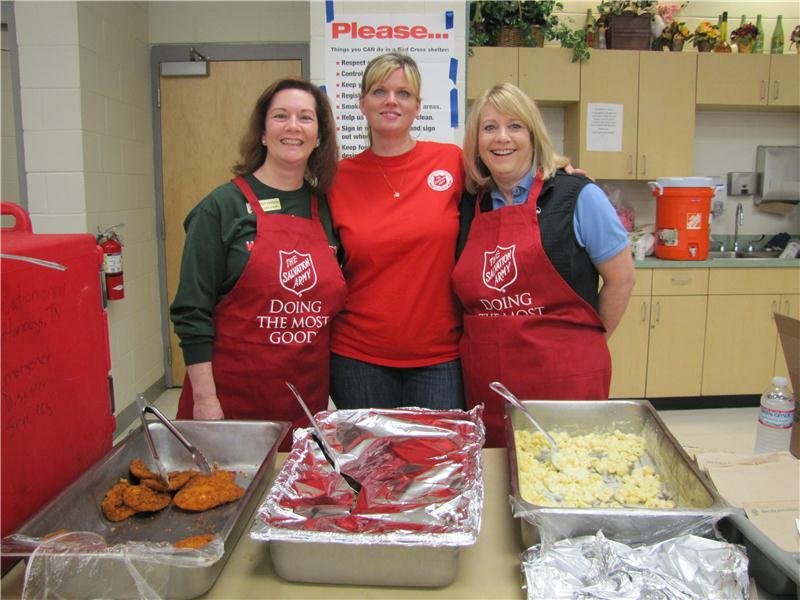 Jennifer Fisher, Salvation Army public information officer, said, "This week is The Salvation Army of Greater Chattanooga's 121st birthday, so it is only fitting that we are doing disaster relief for some of our most vulnerable neighbors. Seniors have a special place in our heart and we are honored to be able to serve them during this difficult time." As of Tuesday night's count, the American Red Cross said 64 residents are being sheltered. The Salvation Army will continue to work alongside its partnering agencies to provide continued support to those affected by this fire. Donations are needed to aid with disaster services and can be made by visiting www.csarmy.org or by calling 800 Sal-Army. Monetary donations can also be mailed to 822 McCallie Ave., Chattanooga, Tn. 37403. For more information, please contact Kimberly George, director of Marketing and Development at 423 503-1801.